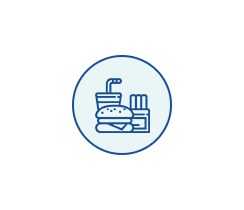 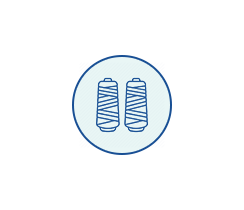 By definition, Zero Liquid Discharge (ZLD) means that not a single drop of liquid goes out of the premises. 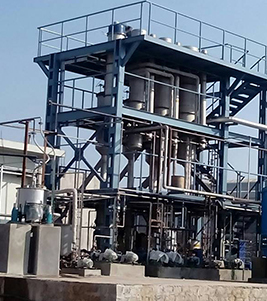 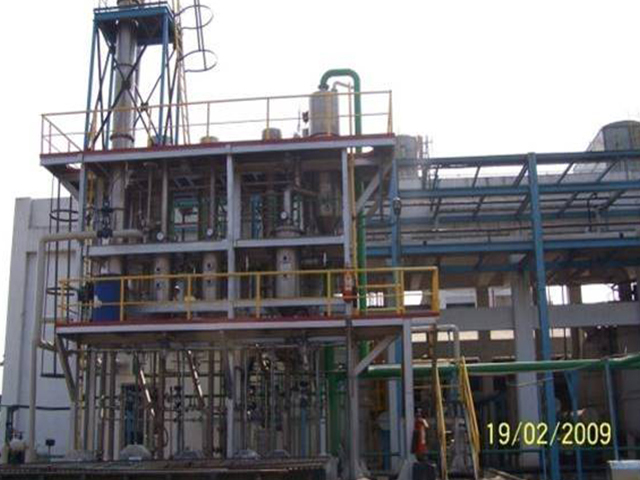 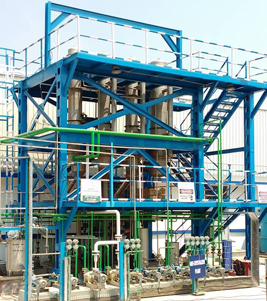 SS Techno makes some of the best Zero Liquid Discharge plants in India. 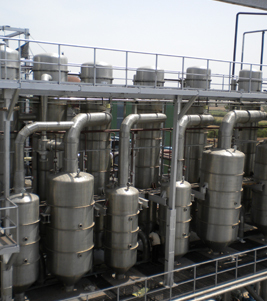 SS Techno plants are tailor-made, taking into account the nature of the wastewater. 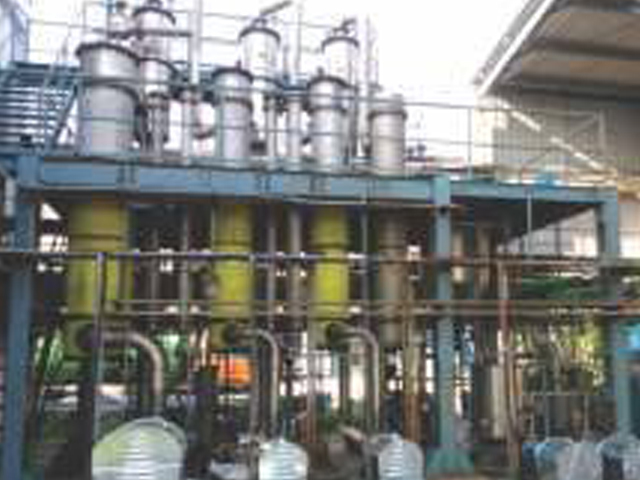 Evaporators, although capital-intensive, are a necessary investment that ensures the proper treatment of industrial wastewater. 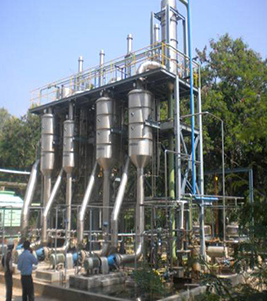 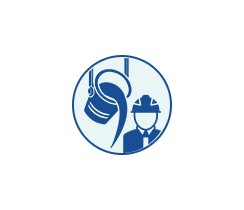 SS Techno has vast experience in treating the Wastewater from a wide range of industries. 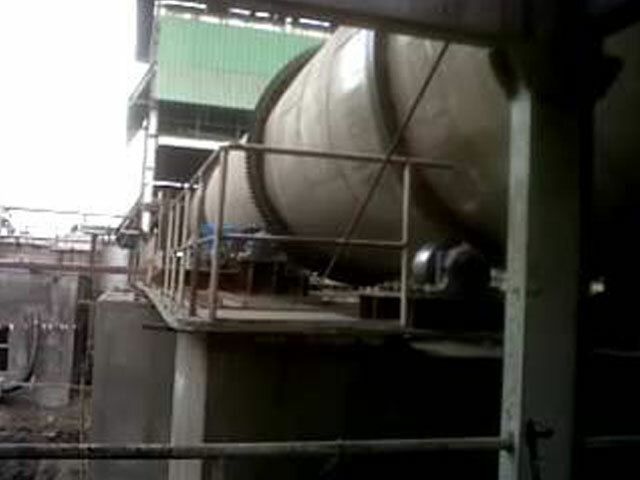 Crystal Clear Water for recycling back to Process, Cooling Tower etc. 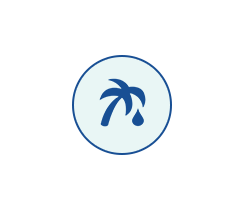 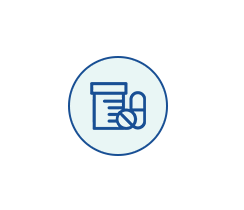 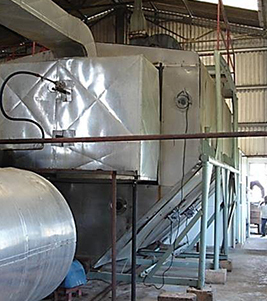 Cleaning In Place (CIP) is done by use of only Chemicals. 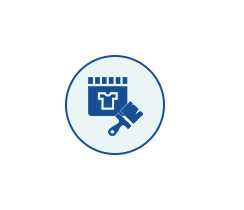 No manual cleaning will be required. 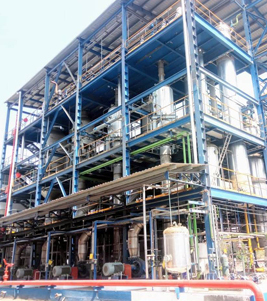 The CIP shall be once in 15 days. 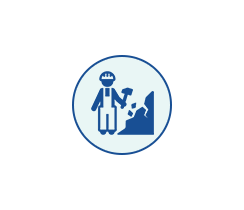 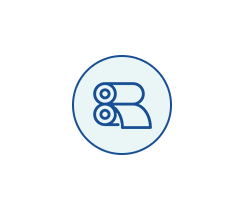 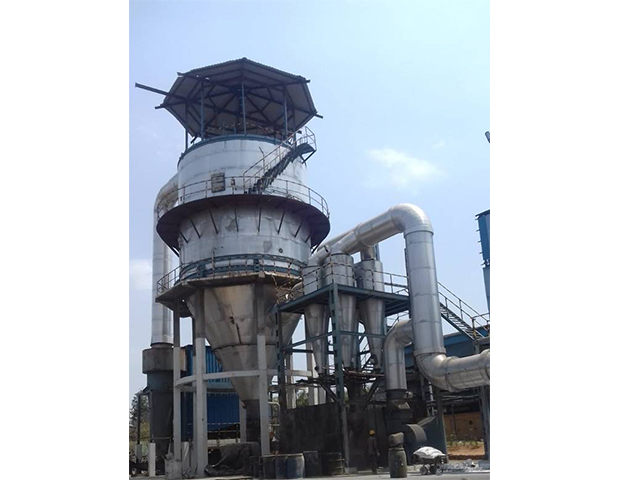 The concentrate / dried solids, depending on its characteristics can be a saleable product or can be disposed off as waste. 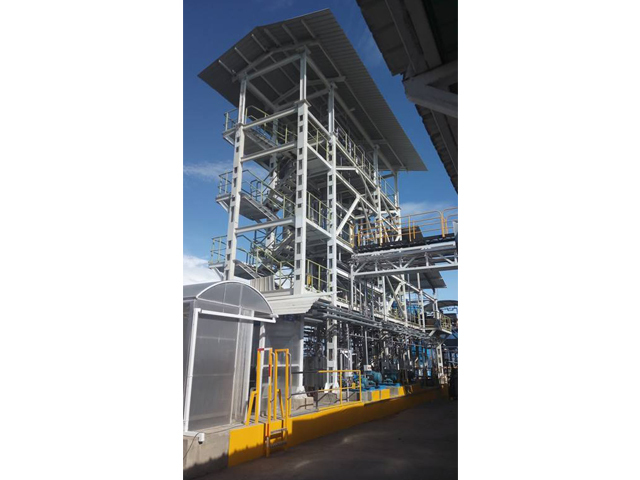 The ZLD plant can flexibly be designed to utilize the heat Source available in the process plant. 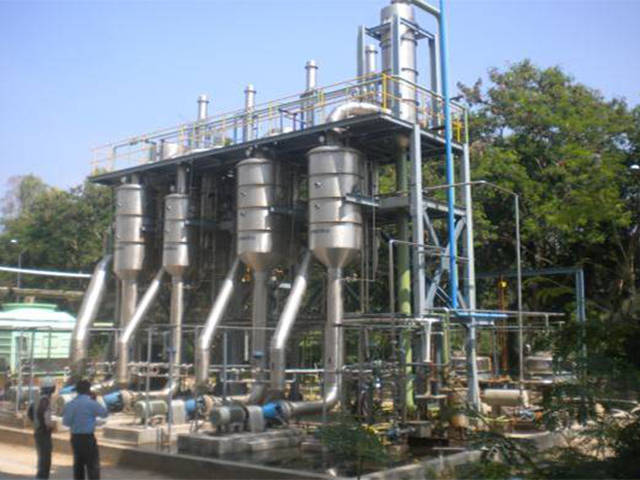 The control & automation is PLC-SCADA based. 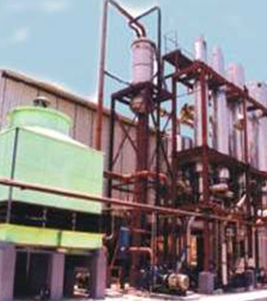 Plant operated on 24 hour basis. 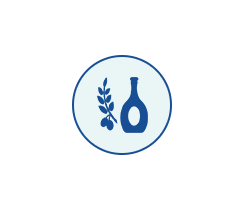 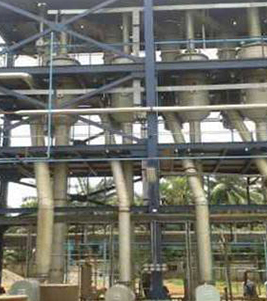 Grain based distillery effluents are popularly known as thin slops. 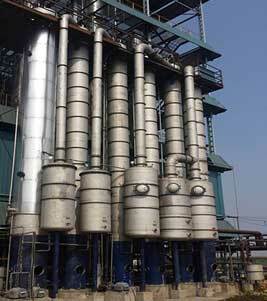 It is concentrated and mixed with Distillers Wet Grain Solubles (DWGS) for use as animal / cattle feed. 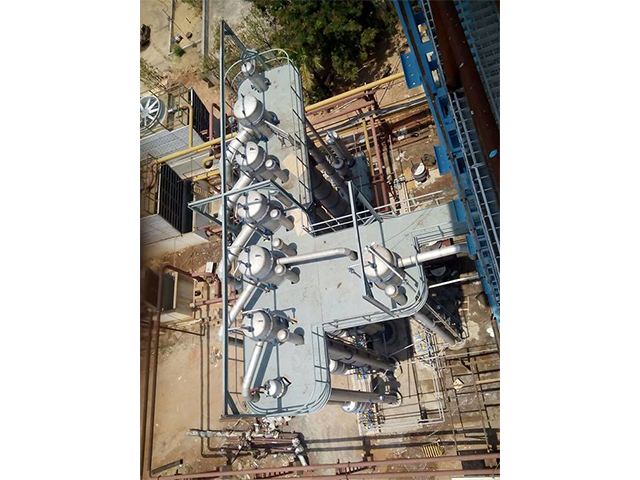 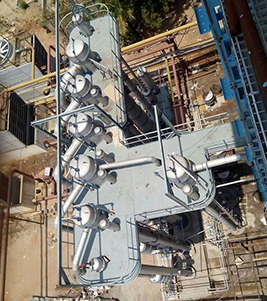 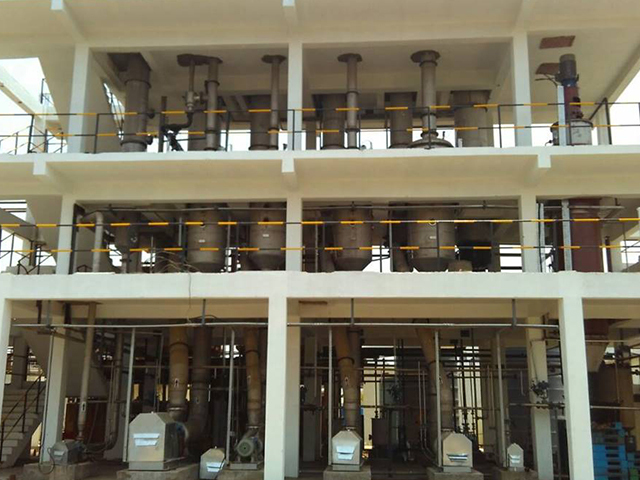 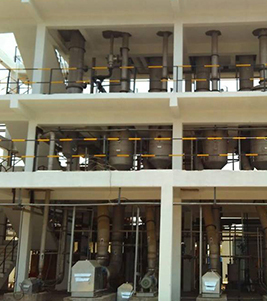 We offer special purpose conduction type drying system to dry these solids to less than 10% moisture called DDGS (Distillers Dry Grain Solubles). 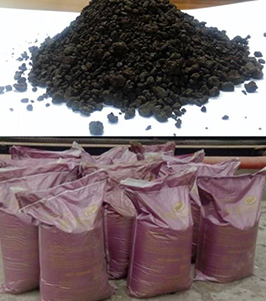 These dry solids are used as animal / cattle feed. 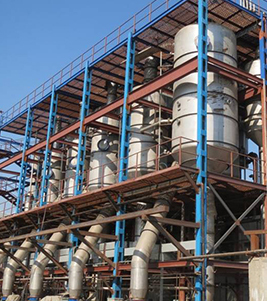 The dried solids has better shelf life for storage. 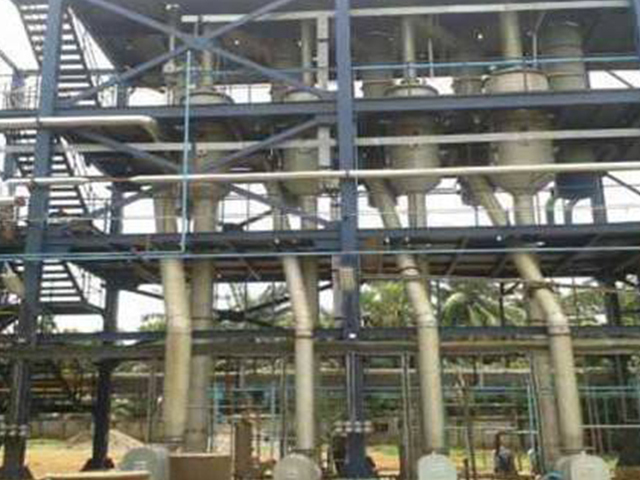 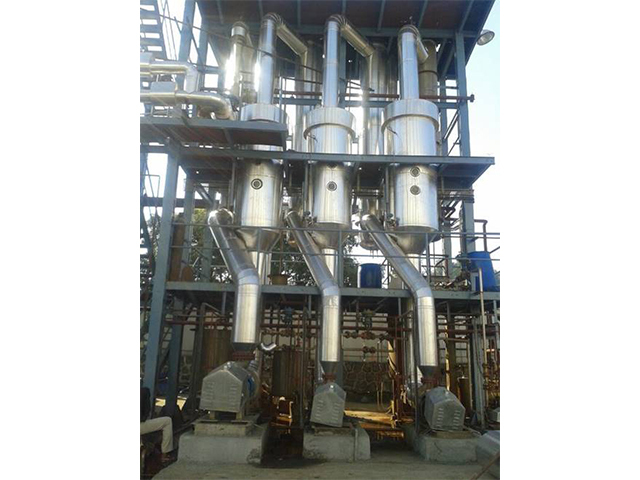 Molasses based distillery effluent known as Spent Wash/Vinasse/Dunder is one of the most difficult applications for evaporators. 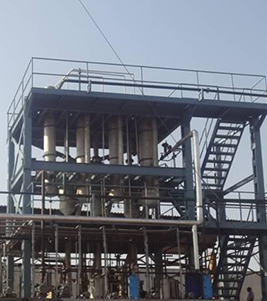 These effluents are characterized by a high Chemical Oxygen Demand (COD) and high volumes, creating a heavy pollution load on the environment. 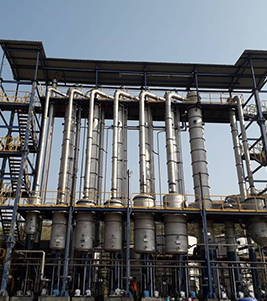 SS Techno has developed a number of innovative evaporation technologies to achieve total Zero Liquid Discharge solutions for the distillery industry. 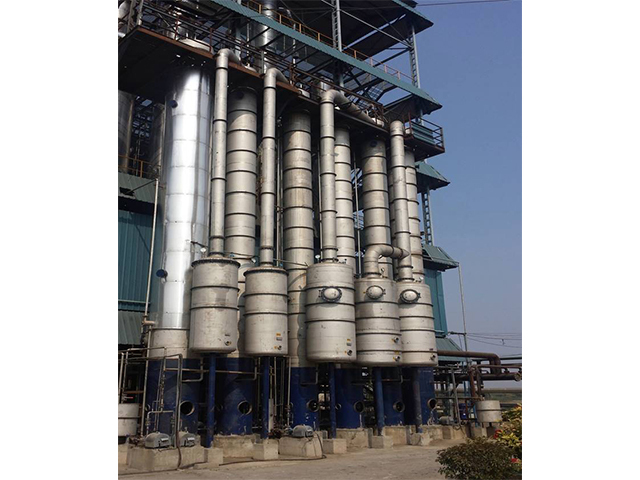 SS Techno ZLD systems are designed to use steam at any available pressure, Alcohol-water vapor, Thermal oil/Hot oil, any other available heat source. 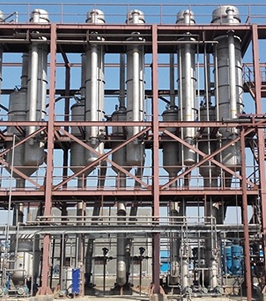 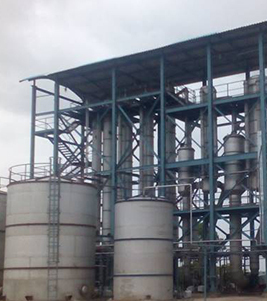 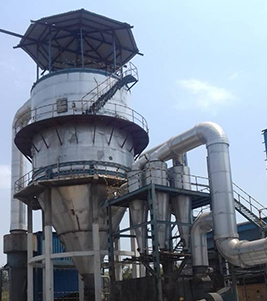 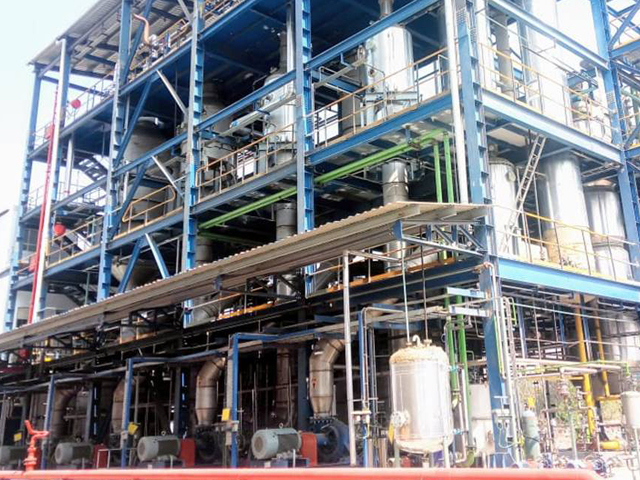 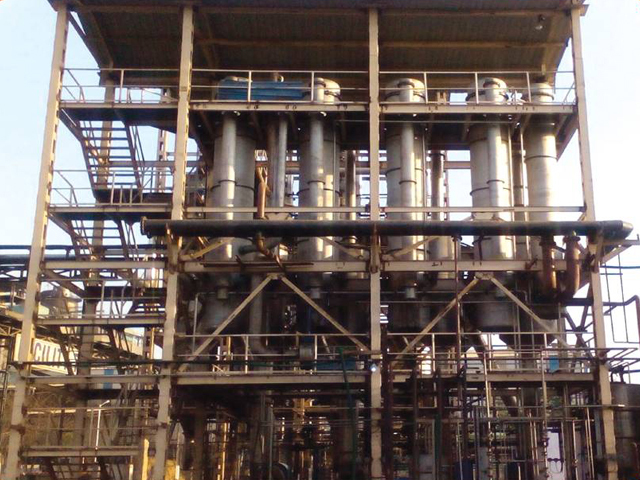 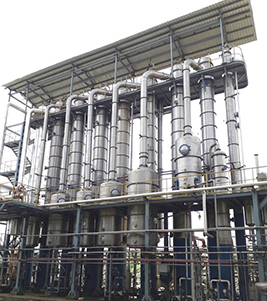 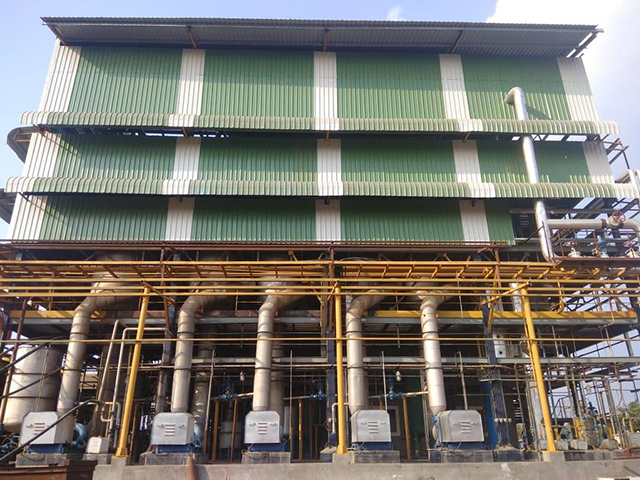 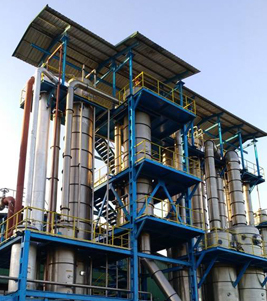 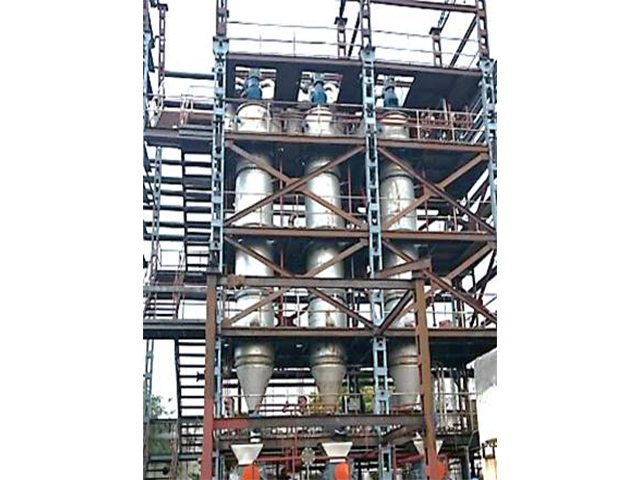 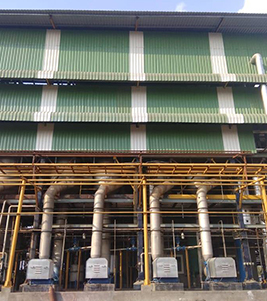 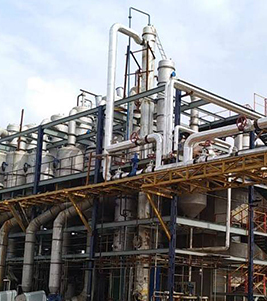 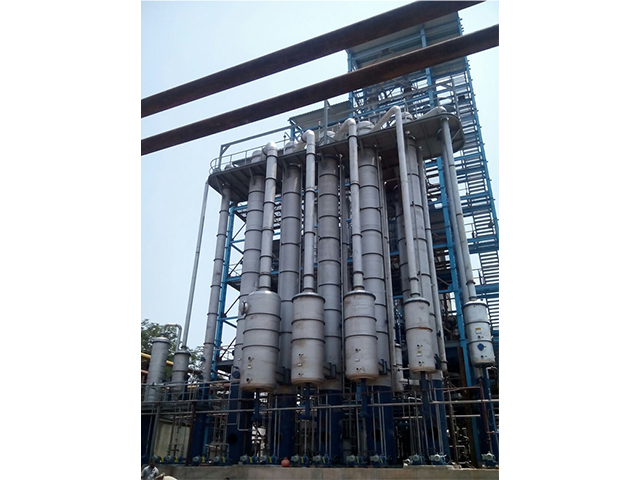 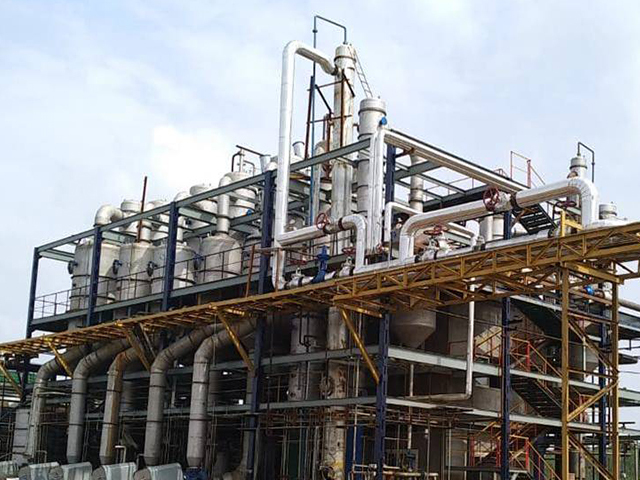 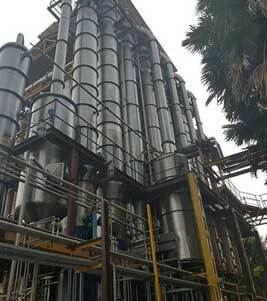 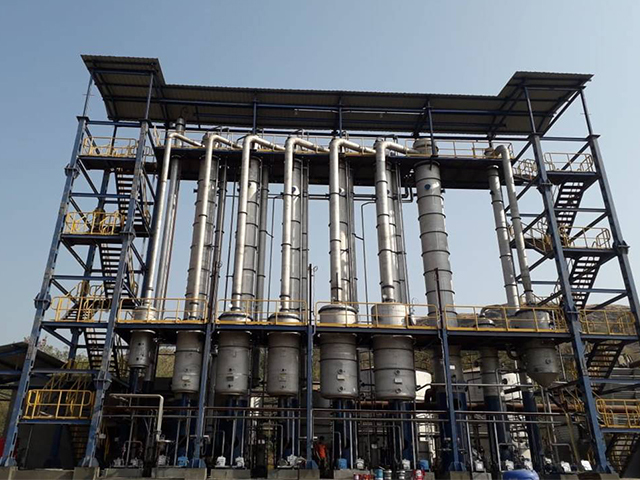 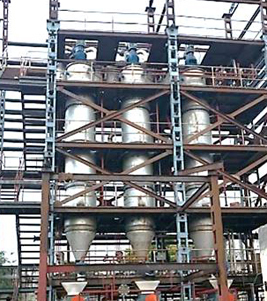 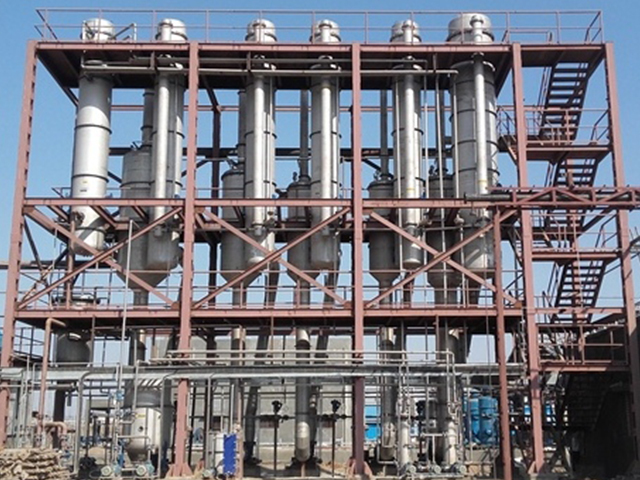 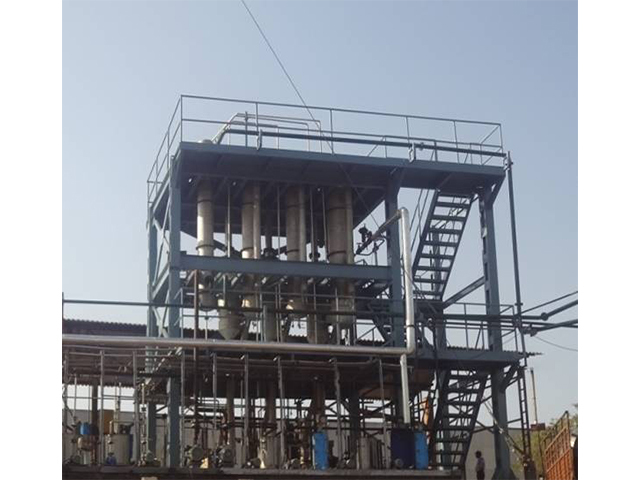 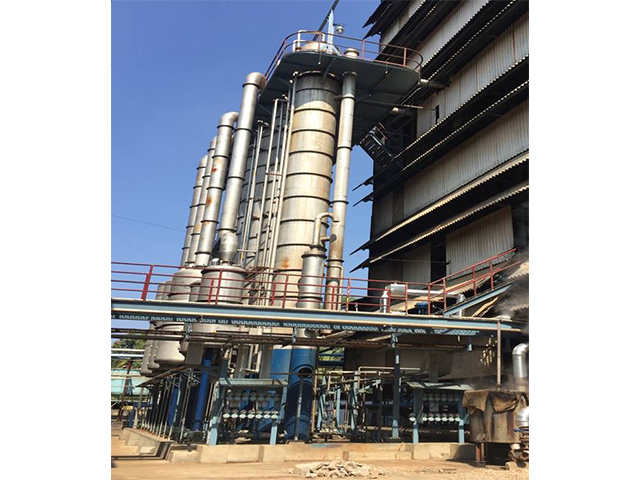 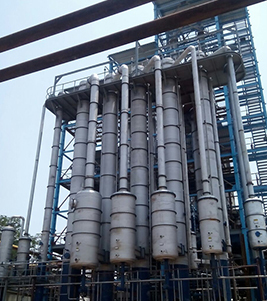 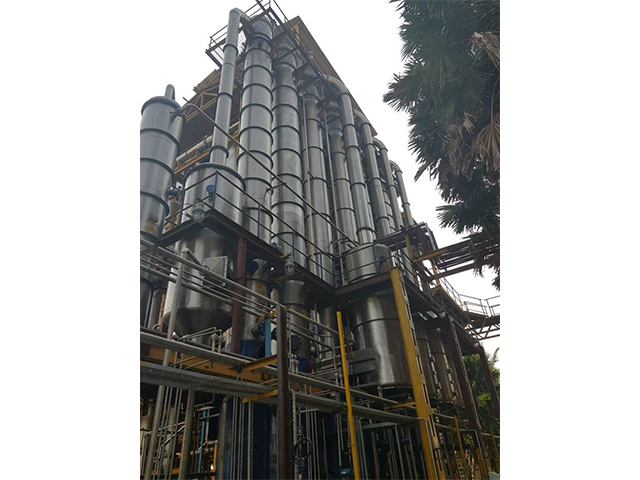 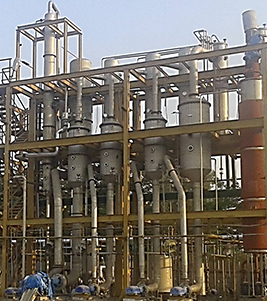 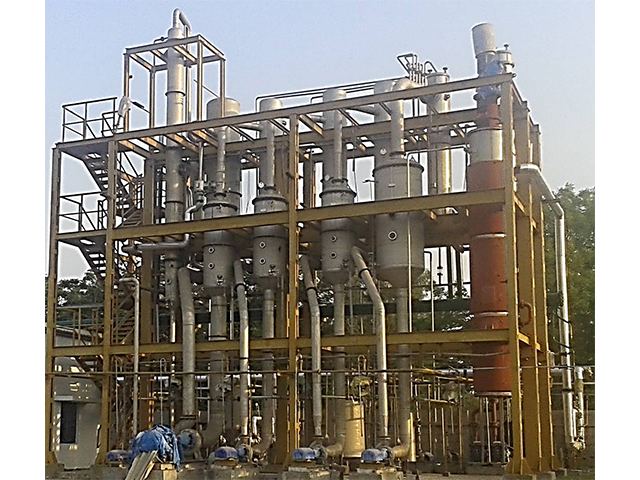 Concentration of solids upto 98% (w/w) dry powder form (non-hygroscopic) has been successfully achieved in various plants as per the need of the customer. 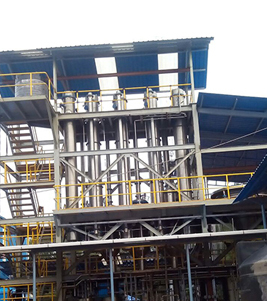 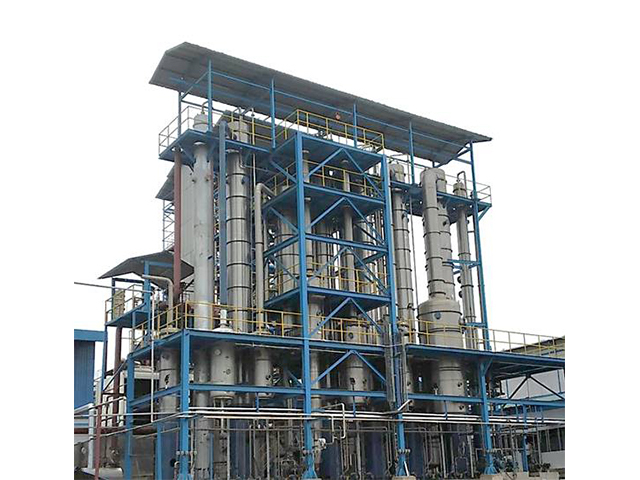 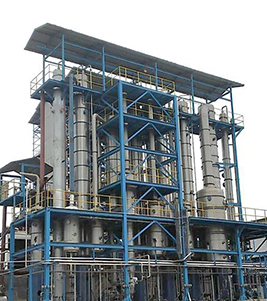 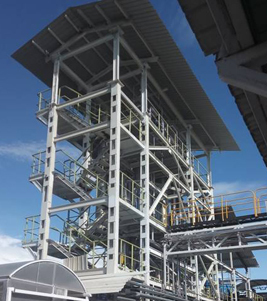 The final output of the ZLD plant can be used for Bio-Composting or Incineration or as Potash-rich Organic Fertilizer. 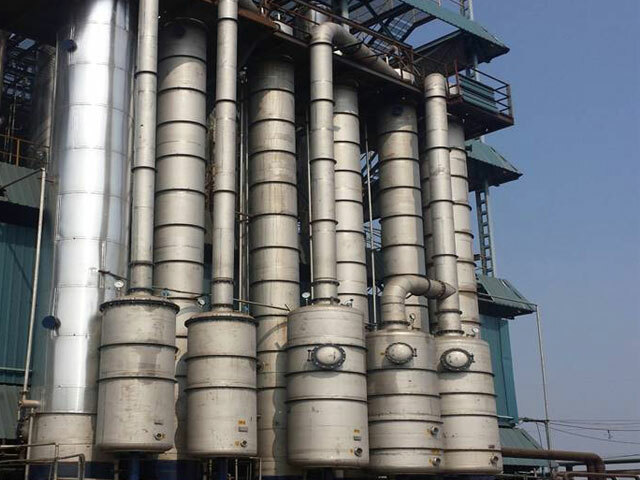 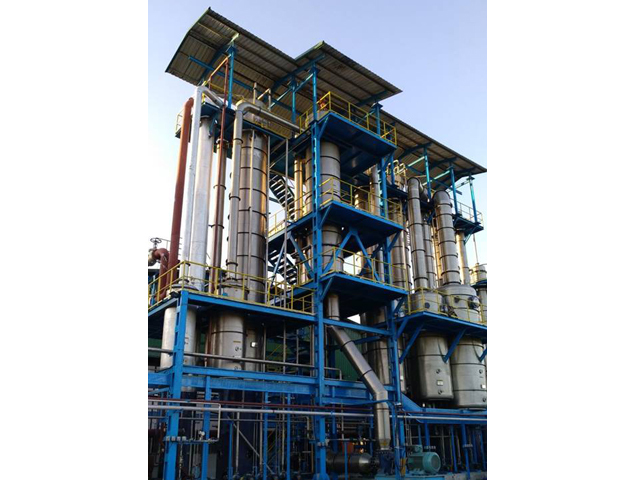 Concentrated solids (70% (w/w)) have been successfully incinerated in regular steam boiler by mixing it with primary fuel such as bagasse/wood chips/rice husk etc. 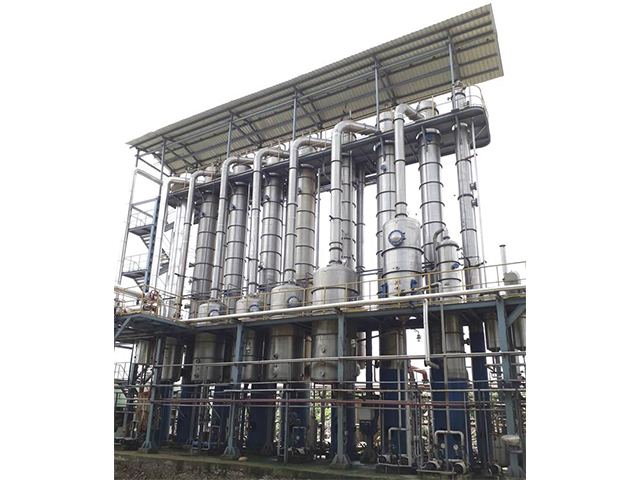 System suitable for Distillery operated on Multipressure Vacuum / Atmospheric pressure. 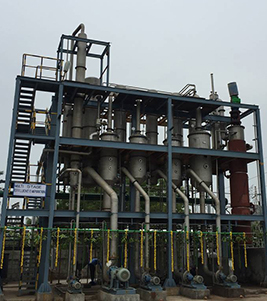 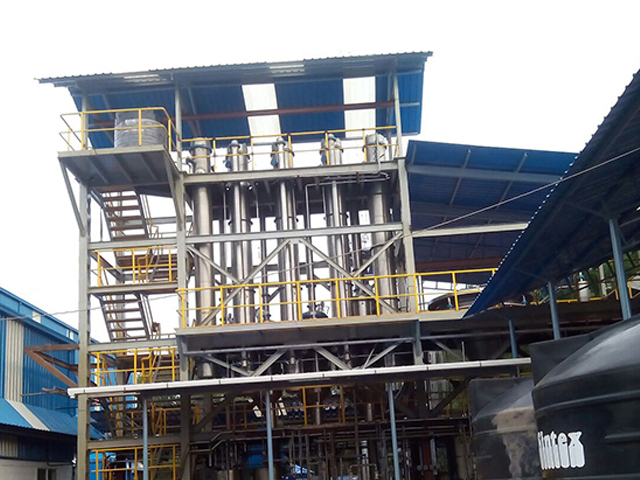 System can be designed to accept either of the feed Raw / Bio-methanated Spent Wash.
Output concentration of effluent can be as per customer requirement. 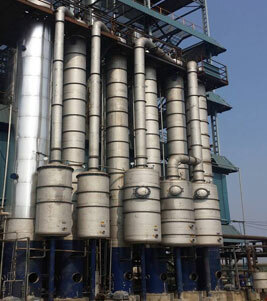 Guaranteed Crystal Clear Condensate Water for 100% recycling to Fermentation, cooling tower etc., after proper treatment. 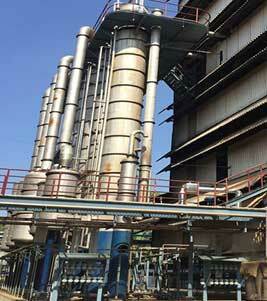 Cleaning In Place (CIP) to be done once every two weeks by using only Chemicals. 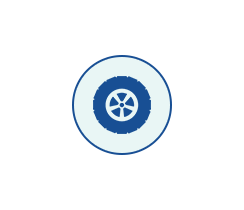 No Manual cleaning is required. 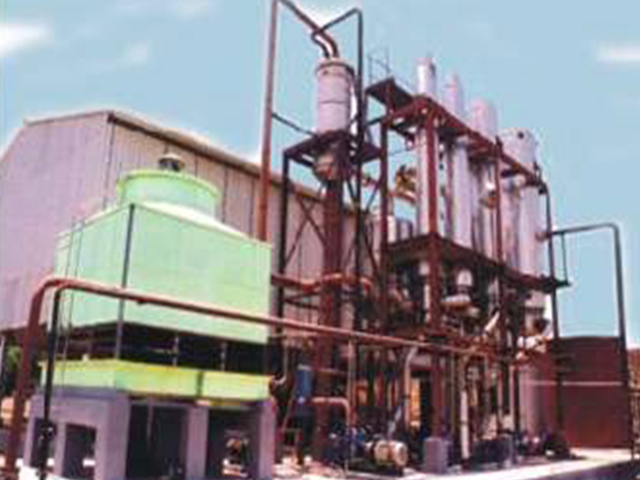 Plant operates on 24 hour basis. 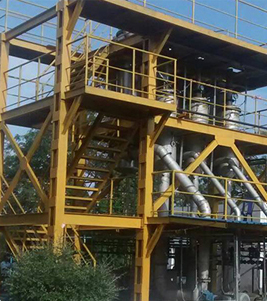 Operations from ground floor only. 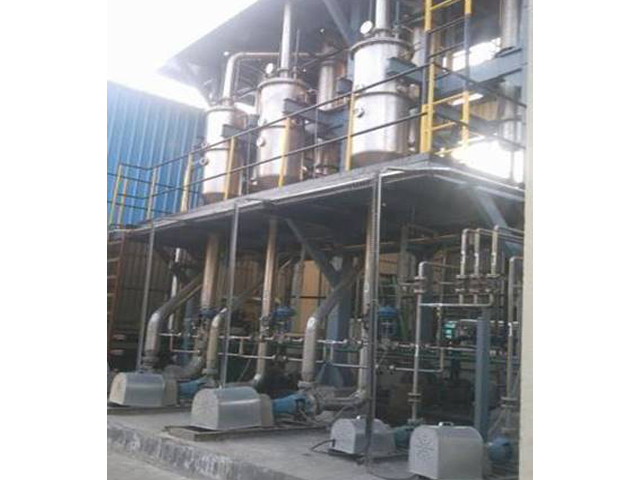 System designed to accept Steam at any available pressure. 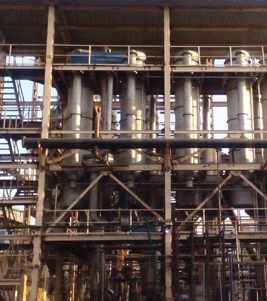 Concentration of solids upto 60% (w/w). 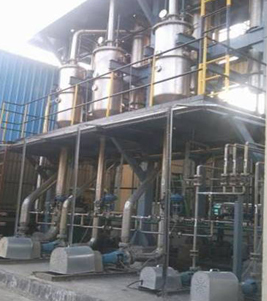 Highly energy efficient (Low steam and Power consumption). 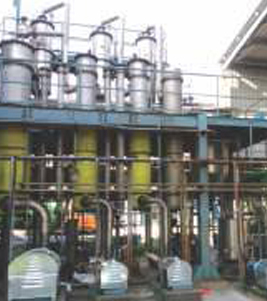 System designed to accept heat from Alcohol-water vapor. 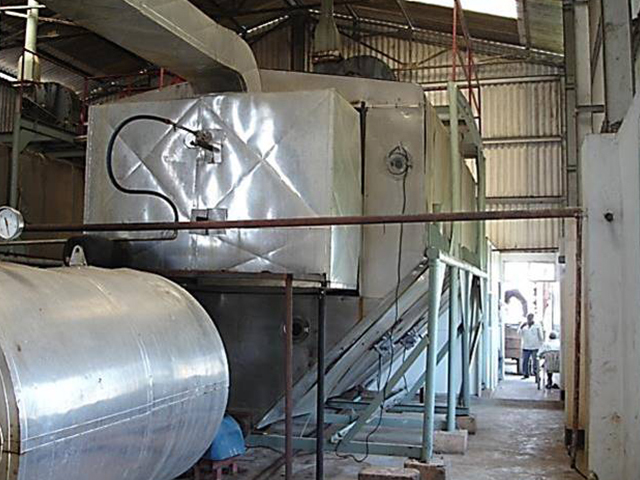 No Steam is required. 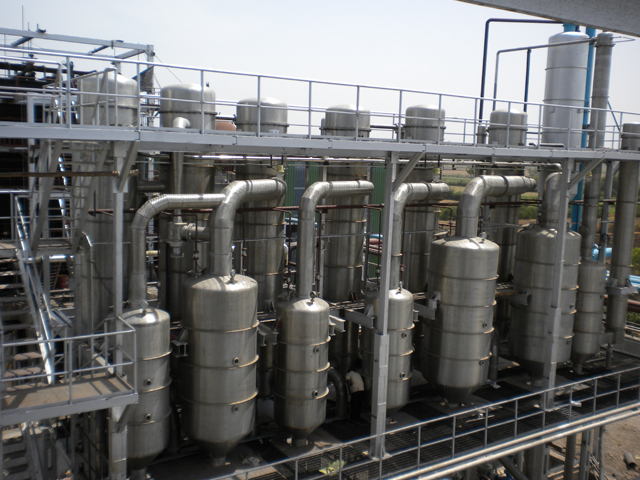 50% to 60% reduction in the volume of the effluent can be achieved. 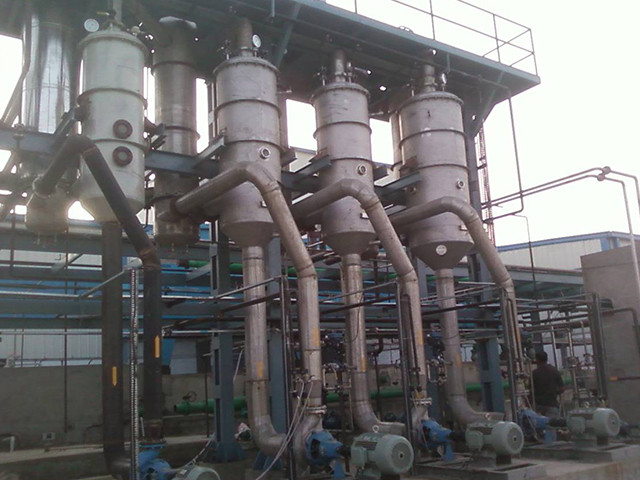 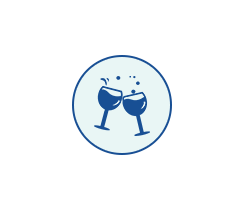 System designed to accept heat from Alcohol-water vapor and steam available at any pressure. 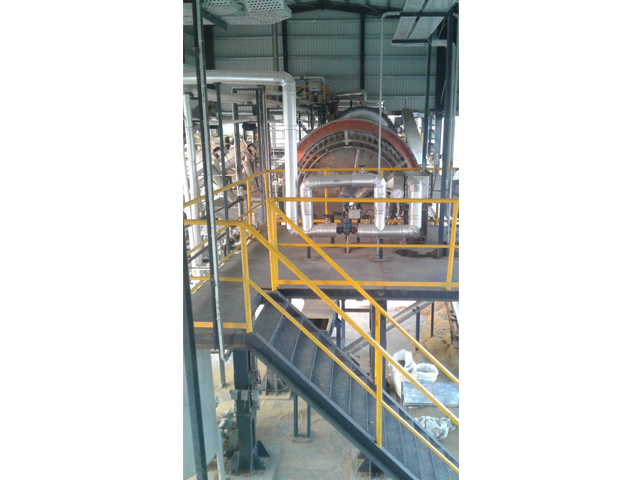 Concentration of solids upto 70% (w/w). 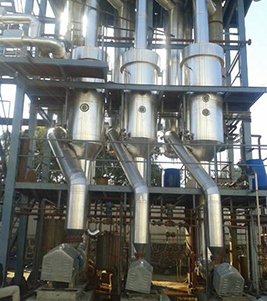 Profitable Innovative solution for Spent Wash/Vinasse/Dunder. 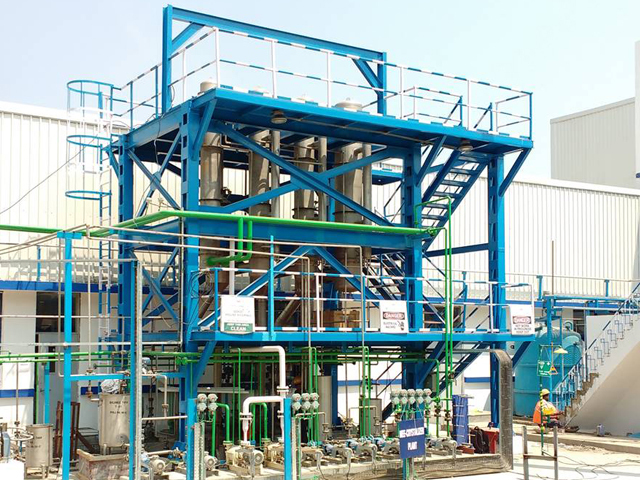 This is a state-of-the-art technological breakthrough achieved for this effluent. 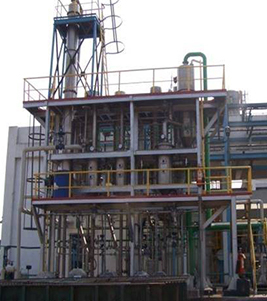 Effluent can be dried upto 98% (w/w) dry powder form (non-hygroscopic) using Evaporation & Drying technologies. 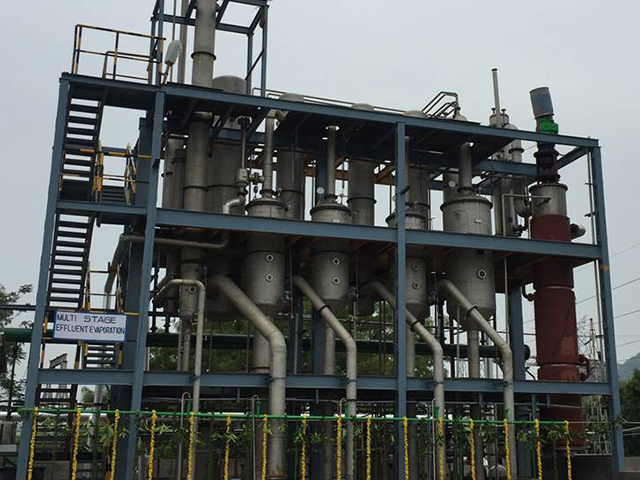 Final product is a Potash-rich organic fertilizer (Organic Carbon more than 20% & Potash upto 17%). 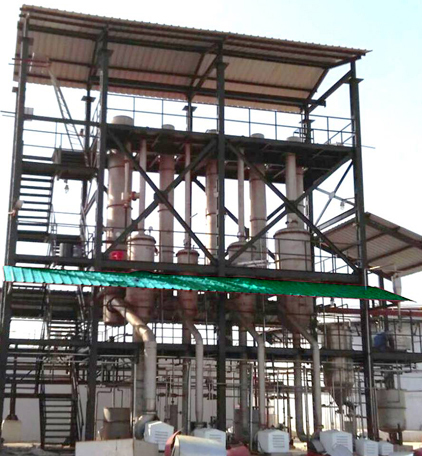 Final product can also be used as fuel. 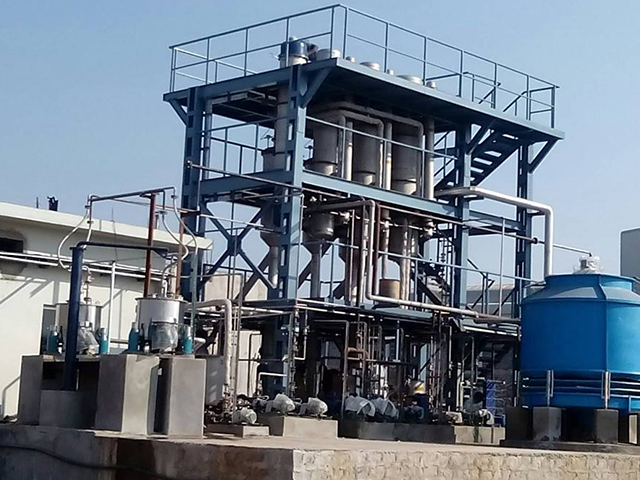 Not a drop of Wastewater need to be discharged outside the factory premises. 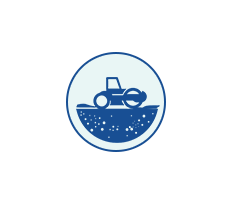 Output solids from the system can be concentrated to 20% (w/w) moisture which can be used as animal feed / organic fertilizer. 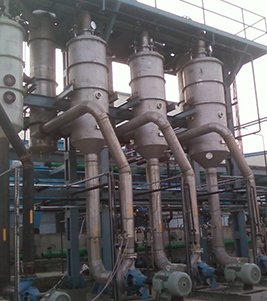 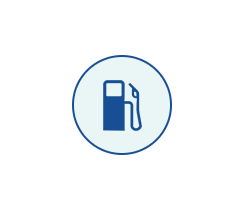 Output solid from system is rich in oil content which can be extracted and sold as a valuable product. 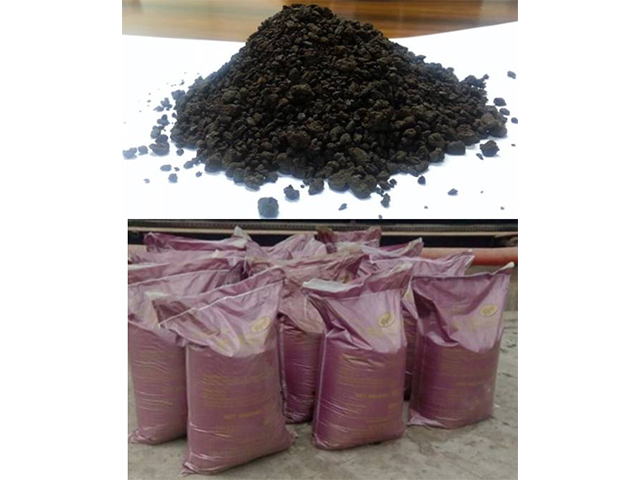 De Oiled solids can be sold as an animal feed/organic fertilizer. 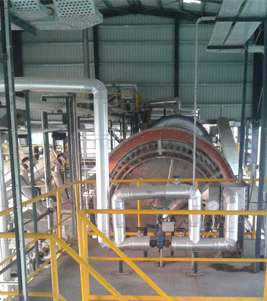 System operates using steam as the heat source. 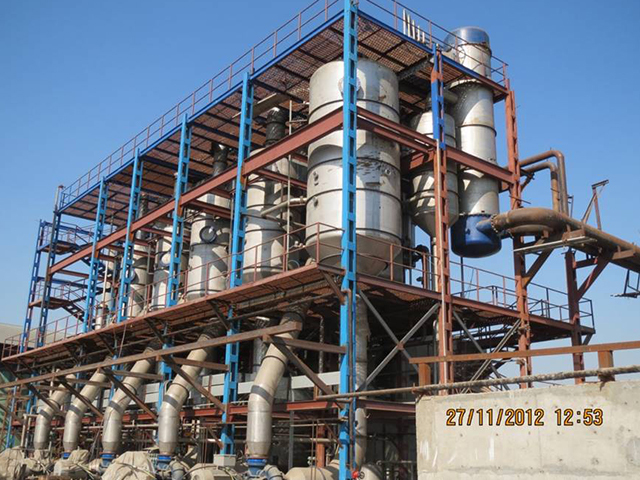 Crystal Clear Water for recycling to process, cooling tower etc. 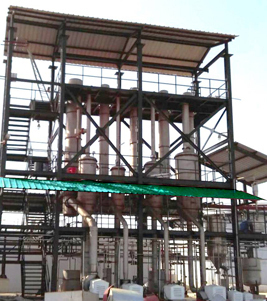 after proper treatment. 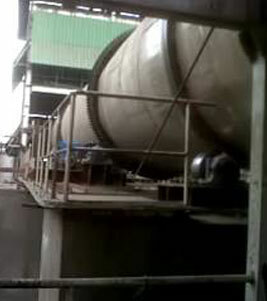 Cleaning In Place (CIP) once every two weeksby using only chemicals. 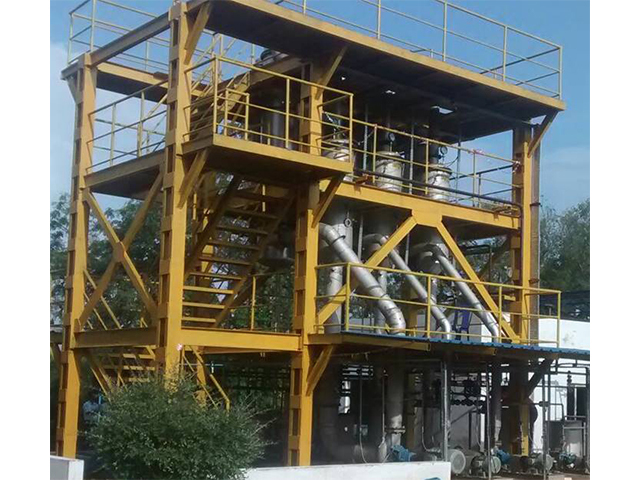 No Manual cleaning required.